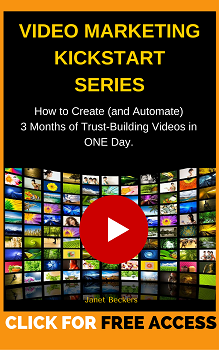 Over the last 2 weeks I opened the FREE Cool Cats Video Marketing Kickstart Program. 2 weeks of video training, templates, blueprints and scripts. One thing I am passionate about, whenever I do any training, is creating opportunities for people to take action. After all, education is important in business but it means absolutely nothing if you don’t implement. So this week I challenged members to submit a 3 minute video in the Cool Cats Video Challenge. I am so impressed with the courage and commitment of the people who joined the challenge from all around the world. For most this was the first video they have created for their business. In fact, first video on anything, ever! Many took up to 20 takes to be happy with their result and then quite a few got the taste of success and went on to shoot more videos for the challenge and for business. Many have also gone on to join us for coaching and support in The Cool Cats Video Marketing Academy. People are still submitting videos and you can continue to do so yourself if you like. Here are people who joined the challenge before the deadline. As you'll see there are a huge variety of businesses and an even greater variety of people, messages, styles and countries. People who range from hypnotherapists to rust proofing of cars. From healers to software companies. Business topics ranging from finding your perfect man to real estate to glamour clothes. Each one unique, each one with a story to share and a passion for what they do. You can click on each of the images to check out all the videos. You can also see them all here. Why not leave them a comment, see what they do and do business with people who you already know are action takers?